On Oct. 18, Junior Achievement of New Jersey (JANJ) introduced its revised financial literacy curriculum before an audience of school administrators and board members. The session showed school districts how they could use the JA Finance Park curriculum to help their students meet the 9.1 Standard graduation requirement in financial literacy. JA’s financial literacy program fully aligns with the state mandate, and is used by districts to help their students meet the state’s curriculum standards needed to graduate from high school. In addition to remarks by Milone, Dr. Lawrence Feinsod, the executive director of the New Jersey School Boards Association (NJSBA), and New Jersey Commissioner of Education Kimberley Harrington addressed the attending teachers, principals and supervisors who wanted to learn about how JA can support their students and districts. “Regardless of the career path students choose to follow after high school, it will be essential that they know about financial management. 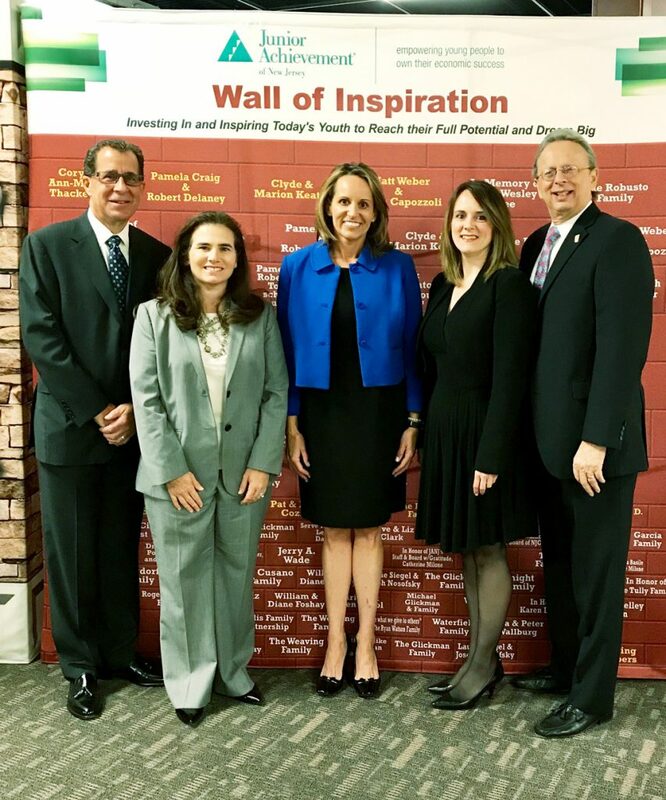 I applaud the efforts of Junior Achievement of New Jersey in bringing content into context and answering the question, ‘When will I ever use this again?’ for our students,” Commissioner Harrington said. JA Finance Park combines teacher-taught lessons with a culminating hi-tech experiential field trip to the JA Education Center. Middle and high school students role-play as adults, and gain valuable personal finance and work readiness insight as they move through the simulation guided by volunteers from the New Jersey business community. For more information on the program, visit www.janj.org.